The decision to study architecture feels like choosing a path for a lifetime at the age of 20. As you enter university, you think that architecture is about drawing and building as you get ready to become the next Mies van der Rohe. What you may not realize, though, is that architecture school also prepares you for many other careers out there. A part of our Working Out of the Box series, this piece discusses the top 10 transferable skills you develop in architecture school. These set you up for a world outside our discipline, and can even give you an edge in many industries you thought were beyond your reach. If you are thinking about leaving architecture and changing professions, this list proves that your degree equips you for pretty much anything you want to do. Architecture school follows what early software developers would call a ‘waterfall model’, where ideas follow the foundations of earlier concepts. Going backwards is a costly mistake that can mean reprinting a $100 plot, or redesigning a building if the column grid does not match across drawings. We develop what one of my colleagues likes to call laser-like attention to detail Therefore, we develop what one of my colleagues likes to call laser-like attention to detail. We can spot a typo from miles away and can’t help but notice when two objects are misaligned or two colors have different hues. When in school, this may seem like a curse. However, this is a blessing in disguise as we move on to trying our luck in other industries. Our new colleagues will almost certainly not have the same discipline drilled into their DNA, and a spotless deliverable can set us apart. As we iterate through our designs, inspiration comes from multiple sources. It may come from an article on Archinect, from that paleontology elective, or from the way our garbage bags were arranged in the morning. Regardless of where we find the ideas for our work, keeping them safe and accessible is a skill that enables us to take our designs further. As Rem Koolhaas suggests, “Architecture’s greatest value in the future might not even be architecture… but [may come] in the form of knowledge or organization.” Once we move away from our home turf, that ability to organize complex layers of content into neat archives of ideas will allow us to make the most of interdisciplinary work. Not only do we bring a fresh perspective to the world beyond architecture; we also bring with us a new way of working. Brilliant design ideas may come to our minds, but they have no value if we cannot effectively communicate them. Our first-ever pin-up was likely a faint reflection of the grand design we had in our minds. However, by the time we graduate, our ideas come alive on paper with very little need for words. Self-explanatory plans and sections go alongside glossy renders that, beyond their physical form, also convey emotional engagement and social interaction. We understand that communicating ideas is not so much about creating a Jackson Pollock masterpiece as it is about conveying crisp ideas through curated elements. As we move on to different disciplines, the ability to communicate our thoughts succinctly will prove to be an immense advantage. From our first mid-term review, about two months into our degree, we’re thrown into the deep end as we present our designs before a panel of fancy-name architects and big-word academics. Review after review, we evolve from bashful novices to assertive professionals If that is not a test in public speaking, then what is? Review after review, we evolve from bashful novices to assertive professionals. Our voice stabilizes and our palms don’t sweat when we stand before a jury—the spotlight becomes a familiar place. As architects, that may seem like the norm. Yet outside of architecture, presentation skills are often reserved for top-level executives. The ability to deliver a composed presentation is invaluable, and employees who can do so are hard-fought. Reviews also equip us with another skill beyond the ability to present our work. Defending our designs before diverse panels of high-profile critics teaches us to manage different stakeholders. We learn how to understand where each reviewer is coming from and what they want out of our work. We learn how to speak to people from different backgrounds, and become capable of persuading even the most testing of audiences. Our critics and professors guide us through a project in the same way a client would steer us through an engagement. They suggest ways of thinking about a problem, but ultimately we are responsible for deciding how to take our design forward. The balance between defending our ideas and accepting guidance becomes key in other industries that require collaborative work across multiple stakeholders—be them clients, customers, or other members of a larger team. As architects we rarely realize how transferable our problem solving skills are to other fields. We design based on challenges. Turning constraints into opportunities becomes second nature. Turning constraints into opportunities becomes second nature A height restriction is not a roadblock; it is an invitation to spread across the site in creative configurations. That is the core of innovation—it is thinking of the ‘new’ but working within our limitations. That pragmatic approach to problem solving goes far beyond the scope of design. Whether we’re coming up with different ways to navigate a website or rethinking the market entry strategy for a large corporation, our ability to innovate takes us a long way. We don’t work to eliminate barriers. Instead, we think about how to work around the context in new and creative ways. Solving design challenges is not a one-stop shop. It requires multiple iterations of our work as new ideas build on existing ones. We develop a critical eye and constantly think about how our designs can improve. We become comfortable critiquing our own work and that of others, and we recognize that critique does not mean criticism. Our goal of continuous learning and development goes beyond design, to impact how we think about our work. How could we be better communicators? What could help us manage stressful conversations? When we move to other high-feedback environments we thrive on the opportunity to improve ourselves. We are able to look at our work objectively, find loopholes, and think about ways to make every solution foolproof. Our work in architecture school is characterized by tens, if not hundreds, of iterations on one concept. We understand, explore, and evaluate multiple solutions to any one problem. We test them again and again tirelessly. Although tough at the beginning, we become comfortable with leaving previous work behind to make room for new ideas. We know that adapting is the key to success. As it turns out, this is true far beyond the realm of architecture. David J. Snowden and Mary E. Boone’s Cynefin framework suggests that good management relies on the ability to adapt to changing contexts. Whether working in simple or complex environments, a continuous process of sensing and responding is crucial to effective decision-making. After architecture school, we are hardwired to iterate and adapt. Change excites us, and sets us up for success. While students in most degrees wait for assignments and deadlines, we operate in an environment of continuous work. Architecture school teaches us how to work autonomously, without someone telling us what to do or when to do it. We are real self-starters, both by instinct and by training. We have a passion for our work, and we know that getting things done means we must get to work. When we turn to a field beyond architecture, that independence pays off. We are real self-starters, both by instinct and by training.We can own projects without needing direct supervision. Our entrepreneurial spirit translates into an ability to see projects through from inception to fruition—whether it is compiling a client report or founding a new company. Finally, if architecture school failed to teach us the skills above, one thing we do have in our favor is an ethic of hard work. Long nights of blood (thumbs cut by X-Acto knives), sweat (running to make our review after oversleeping) and tears (combine the above) have toughened our skin. We can take on any obstacle the world puts before us because if there is one thing we know how to do, that is to work hard. We know that results don’t happen overnight, and that great work takes time. And, if we believe in something, we are ready to give it as much time as it needs. So, if there is nothing else you can offer your potential new employer, hard work is a skill that runs short and pays well. After reading this, the many sleepless nights might not seem so bad after all. You are, no doubt, an exceptional designer. Yet you also have the skills and the discipline to pursue careers far beyond our field. Architecture school is a unique training and these 10 skills set you up for success across industries. If you’re thinking about leaving architecture to try something different, do it—you’re better qualified than you think! There's a period missing, in the section on Attention To Detail, just before 'Therefore'. ^^ Great catches, though this method of proofreading and copyediting by the author seems... cumbersome. 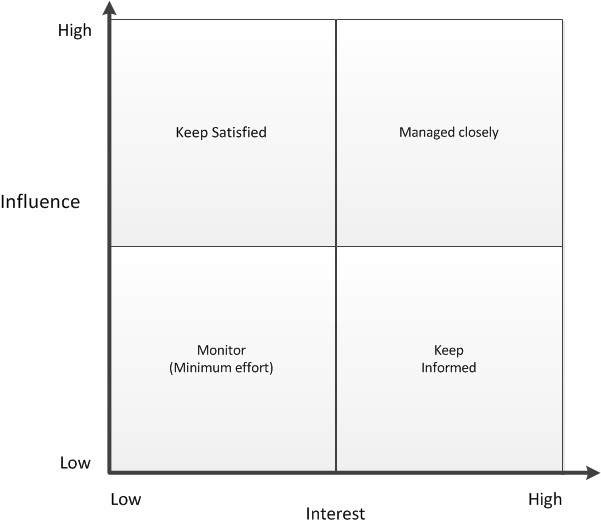 this chart is better for the stakeholder management section. its kind of dry but simple. If only architecture firms knew what to do with such talented, hard-working, and self-driven people! These aren't skills, these are traits. Traits won't get you a different job skills will. If an architecture major wants to do real estate, they will need to be trained or take courses in real estate. If they want to do engineering, same thing. Construction management, yep once again training or courses. These traits are also developed in other majors, you can't just walk into a real estate investment firm and say "I work hard, pay attention to detail and think out of the box," because they're next response will be "great, what are your skills pertaining to finance? We're going to choose someone who possesses both those traits and knowledge of the industry." A bit sad that architecture degrees are now seen as preparation for "other paths." The industry has now required two architecture degrees, an insane amount of privilege and wealth, not to mention talent (a given), and connections to a media publications (in NYC) overrun with PR and dubious agendas that no longer cares about architecture (just postmodern narratives). To the contrary, talent is irrelevant. I enjoyed the pending veracity of your article; perhaps less for “architecture school” and more for the practice of the Work. These ten elemental ‘skills’, fired in the crucible of a number of decades, do yield the refined talents you describe. Good Work. Hey Laura your Information is valid and applicable as well.Its a good insight to know the skills we have unknowingly developed as an Architect.These are the foundations for any other field so guys understand Architects get the foundation skills not a training in a particular course.Appreciate the effort.keep writing.